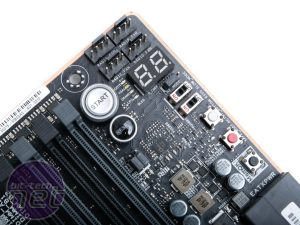 The ultra high-end motherboard market is a strange place. 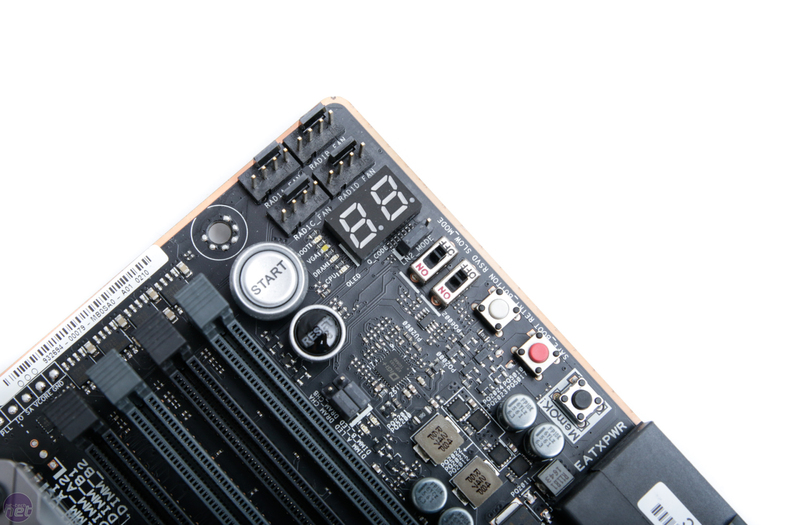 You're never guaranteed to see the same level of craziness from generation to generation, and that craziness may be present in one form factor's flagship but not in another. 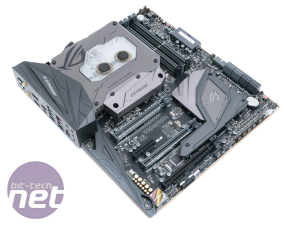 For example, the Z270 chipset lacks an all-out, crazy mini-ITX motherboard from Asus in the form of the seemingly retired Impact. 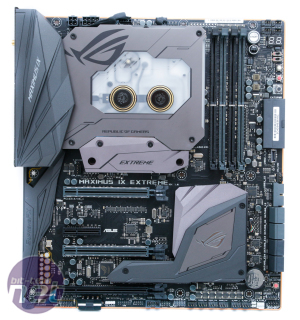 However, the ATX form factor's top-end model has definitely been through the awesome grinder, and if you Google the Maximus VIII Extreme, the difference between it and the board we're looking at today is stark. 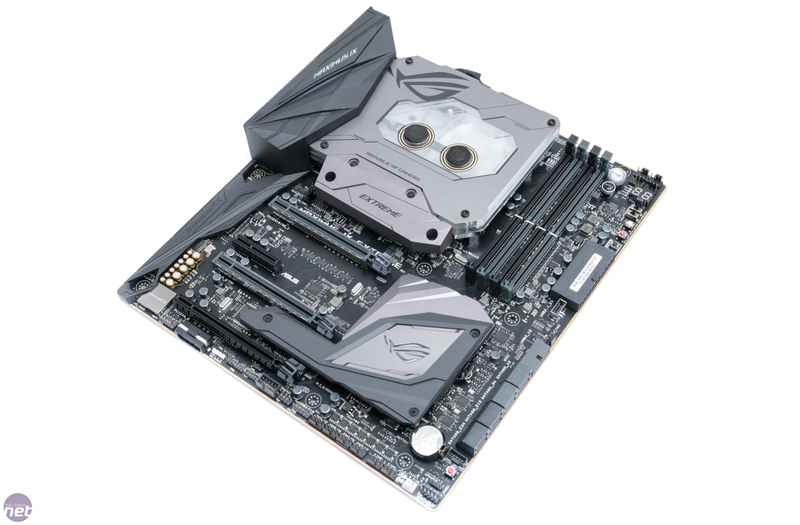 This is without doubt one of the craziest motherboards we've ever seen, and while Asus has included water blocks on its boards before, none have actually required custom liquid-cooling to get up and running. 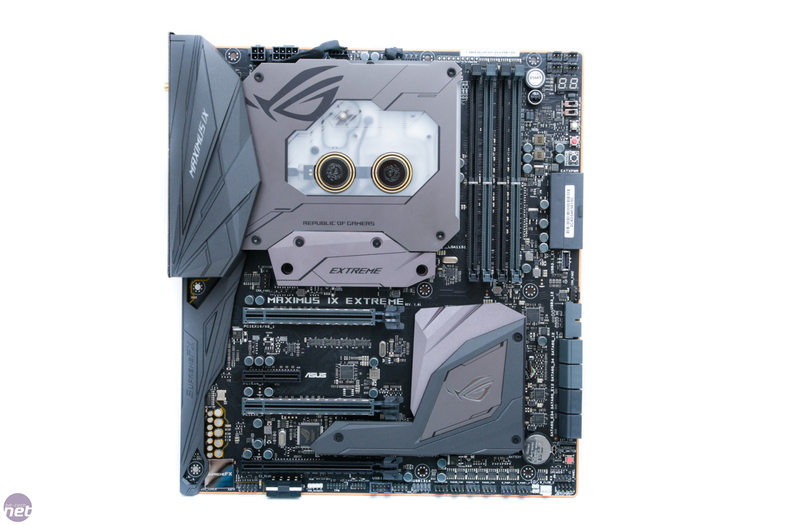 Not so with the Maximus IX Extreme - this is a ludicrously high-end motherboard that's aimed squarely at those wanting a fantastic-looking, highly tweakable, water-cooled gaming system. 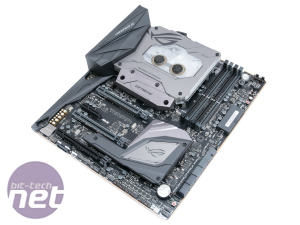 That said, the Maximus IX Extreme lacks any form of PLX chip, so despite the £600 price tag, you're not able dish out more than eight PCI-E lanes of bandwidth to two graphics cards, and this does raise some questions. 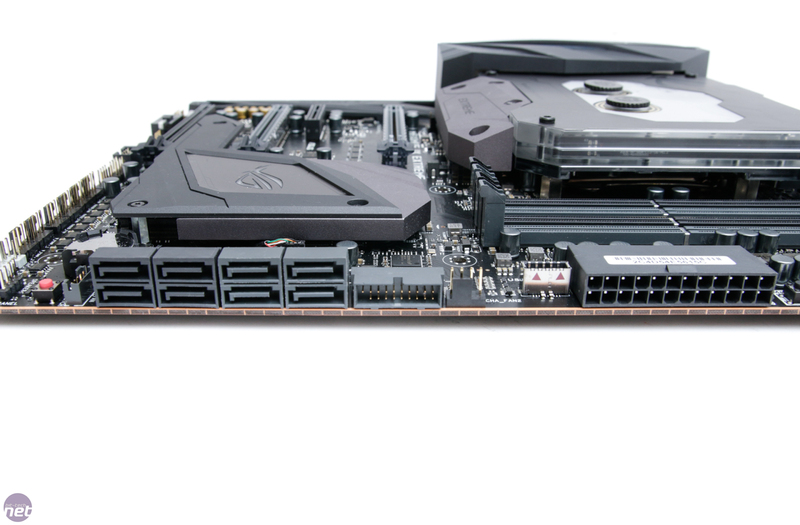 For example, for the same price, you could buy a Core i7-6850K - the six-core, cheapest 40-lane CPU that Intel offers, plus the excellent MSI X99A Tomahawk and have the basis for a more potent if less visually stunning system. 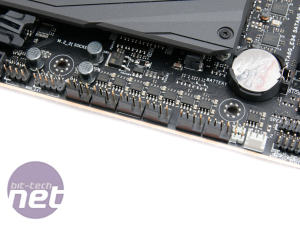 If, on the other hand, you're not fussed with all that high-end desktop PCI-E lane malarkey and just want to blow some cash on building the best Intel Z270 system money can buy, then the ROG Maximus IX Extreme should definitely be on your shopping list. 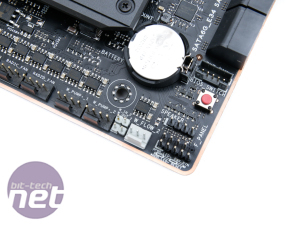 For starters, it has the most extensive water block we've ever seen on a motherboard, which dominates the top half of the PCB - more on that in a minute. 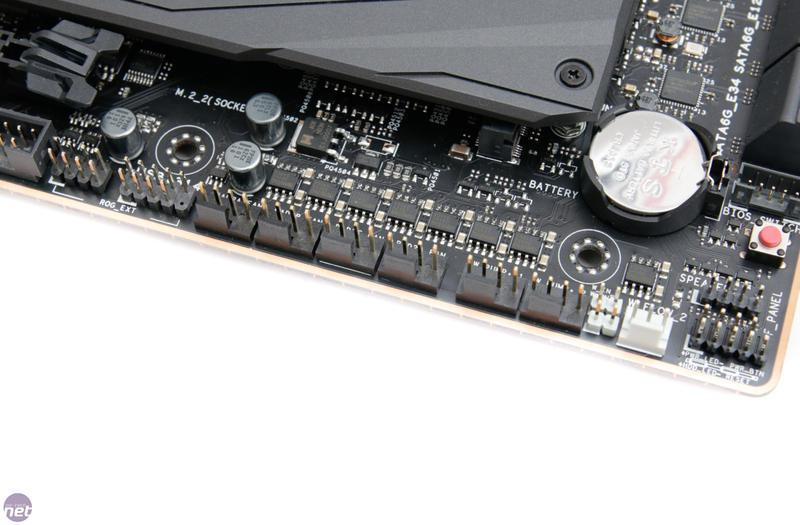 Above you can see the stacks of fan headers this board comes with. 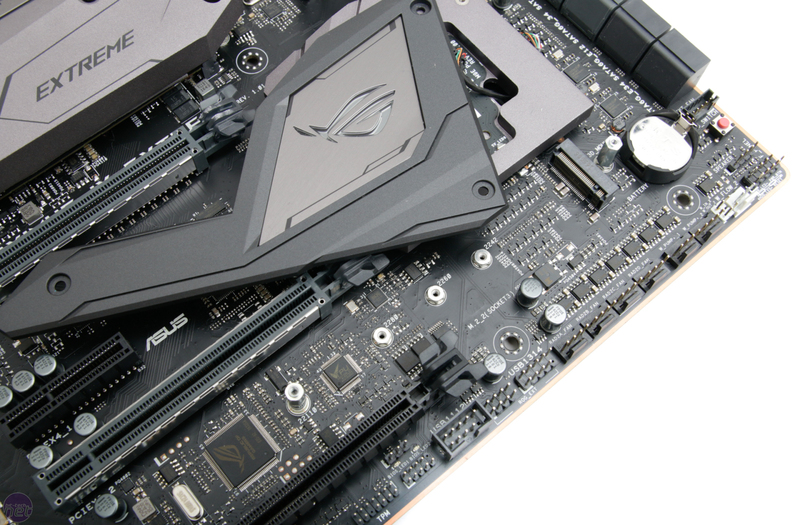 We lost count of how many there are, but amazingly Asus decided to include one of its three-channel fan hubs too, just in case there aren't enough for your dual 480mm radiators and half a dozen case fans. 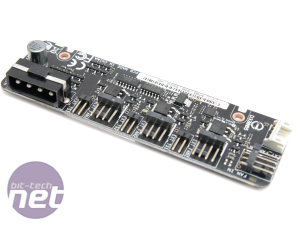 The board has a pair of M.2 ports that support either SATA or PCI-E SSDs and, of course, Intel Optane Memory. 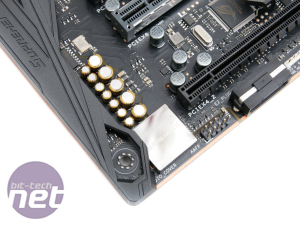 You get a substantial eight SATA ports, too, and a rather unique angled ATX power connector - we demand this on other boards, as it looks awesome, so take note motherboard manufacturers. 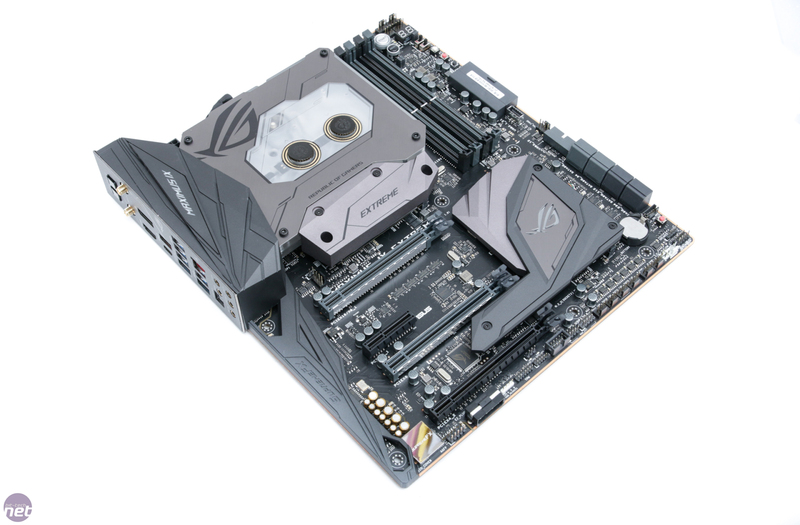 You also get a USB 3.1 header, angled USB 3.0 header, and thankfully Asus hasn't ditched USB 2.0 headers like it did on the ROG Strix Z270I Gaming. 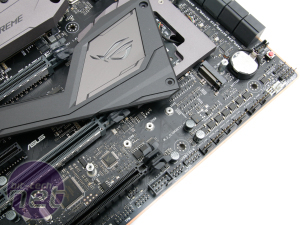 The board includes the ROG SupremeFX eight-channel HD audio S1220 codec that we've seen previously on the Formula, which delivers a claimed 113 dB signal-to-noise ratio on the line-in connection and 120dB on line-out, along with a low-dropout regulator for cleaner power delivery, an ESS Sabre Hi-Fi ES9023P digital-to-analog converter for the front-panel output, and a Texas Instruments RC4580 op-amp for claimed high gain with low distortion. 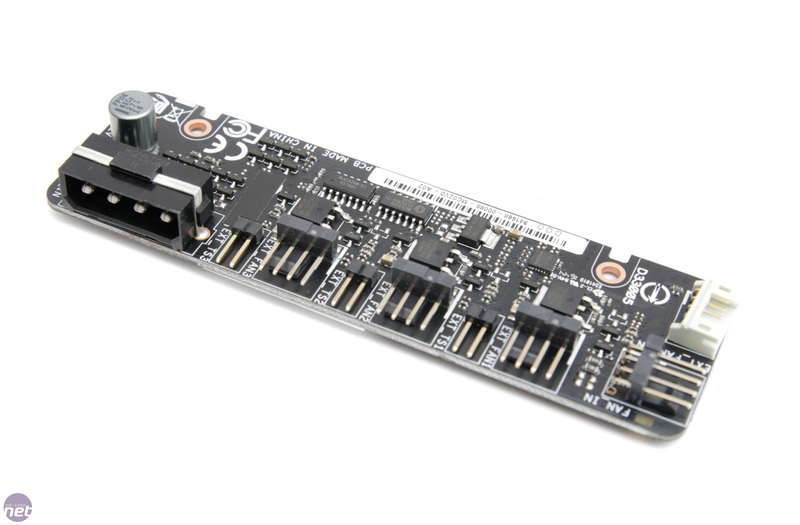 If this gadgetry performs the same as that on the Formula, you won't be wanting from the audio quality compared to other boards. 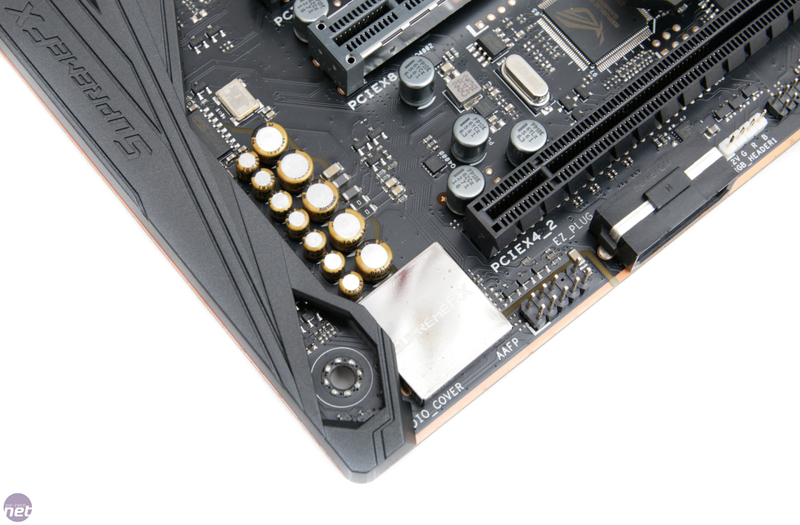 As you'd expect you get the full works with regards to overclocking and testing tools, albeit without multiplier or base clock adjustment, but you do get a host of extreme overclocking tools; an LED POST code display; power, reset, and CMOS clear buttons; a dual BIOS switch; and Asus USB BIOS Flashback.